Functionally, this is vanilla Lucky block which can be seen in Minecraft Java modding. The difference of this block is the texture, the rest belongs to the classical modification and causes the following reactions: the emergence of a crowd of aggressive mobs, various explosions, landscape changes, lightning strikes and other negative events. First of all, the addon is supported by Minecraft BE 1.9 Betas. But in case you are more lucky and you are confident in your luck, then jewels, powerful weapons, expensive items may fall for you as a prize. 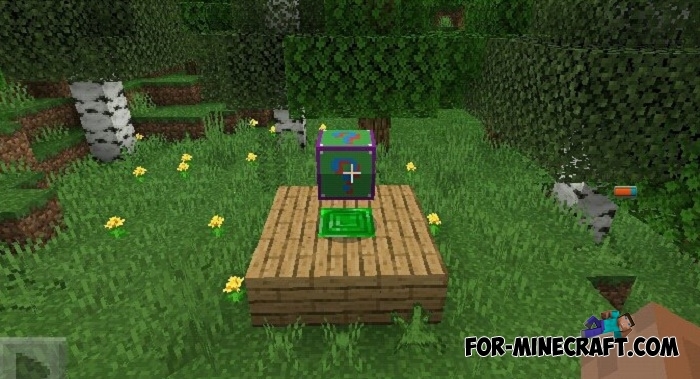 Know only one thing: Lucky block is an unpredictable thing and you cannot be 100% sure that it will not kill or cripple you. Look for other luck block mods and addons on our site, there are many of them and they are diverse in their structure and content. 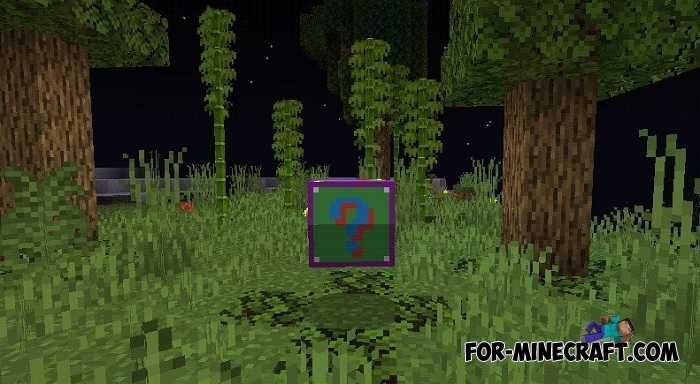 As for this addon, it is compatible with the latest (for this day) beta version of the game - Minecraft 1.8.0.14 and 1.9. How to install the Vanilla Lucky Block addon? 1. Open the file (.mcaddon) using MCPE.